As vehicles go, a brightly-colored landscaping truck probably isn’t the best option for a getaway car. But one landscaper and tree trimmer in Toms River told police that his large bucket truck, indeed, was stolen. 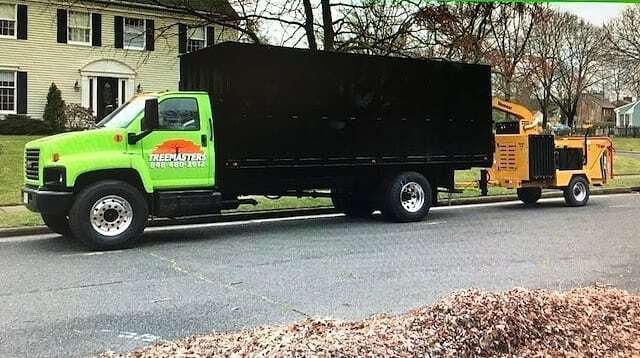 Toms River police are asking residents to be on the lookout for the landscaping truck pictured with this story. It was stolen in the early morning hours Oct. 28 and not been seen since. Anyone with information is being asked to contact Ptl. Justin Lammer at 732-349-0150 x 1407. Additionally, the truck’s owner said on Facebook that he is offering a reward for the return of the vehicle. The owner, Kyle “Tree Master” Miller said, said thieves took “everything out of my bucket truck” and then managed to steal the truck itself. His friends online described Miller as a person who built a successful business from the ground up, but is now missing a vital piece of equipment. His social media posts appear below.